Many people spend their holidays in the Naples region or in Rome. 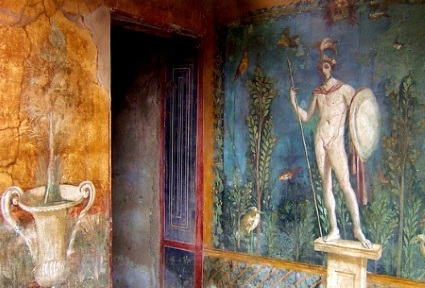 Day trips by bus to one of the most interesting sights in the world – ancient Pompeii – are extremely popular. On this page we present some tours, which can be booked before the trip on the Internet. The day trips presented below are offered on Getyourguide.com on the Internet. This is a very large and well-known website in Britain. Before booking you can read some reviews on Getyourguide. The customer evaluations are quite meaningful and objective after our experience. In our opinion, the overall rating is important. Bus tours that have well over 4 out of 5 points are usually very good. We have only selected such offers for the year 2019. Booking via Getyourguide.com is quite easy. With most routes applies: You can print out a Voucher or show this simply on the Smartphone. With most offered trips with Getyourguide a possible cancellation is handled quite generously. The more precise conditions are included with each tour. You should pay attention to what is included in the price of the respective excursion (tickets, food, etc.). It is certainly no mistake to take a bottle of water and maybe something to eat on a day trip in the heat of Italy. Of course you can also buy drinks in Pompeii, but not necessarily very cheap everywhere. About like Tour 1 from Naples above, but additionally to great Amalfi Coast. The conditions are a bit different with this one. Here the entrance fee for Pompeii is not included in the price, but a lunch. This excursion is also well rated by participants. Enjoy your holiday! For us, Pompeii is one of the biggest sights in the world.